Check out Tobi's Boss Lady Striped Crop Top Weekend looks demand sleeves worth talkin' about. Get the Boss Lady Red Striped Crop Top to make a statement. 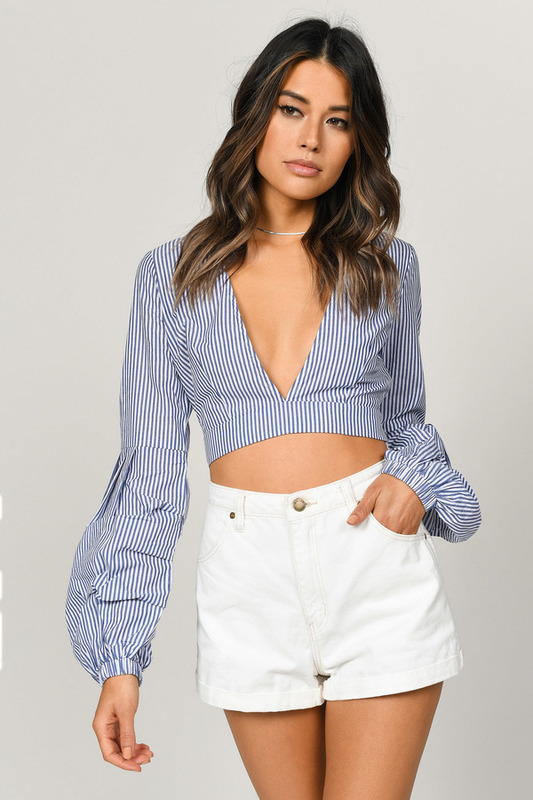 This bubble sleeve top features a cropped construction, gorgeous stripe print, plunging v-neckline, and beautiful bubble sleeves for an unforgettable silhouette. Pair this cute striped top with high waisted culottes and mules. Weekend looks demand sleeves worth talkin' about. Get the Boss Lady Blue Striped Crop Top to make a statement. 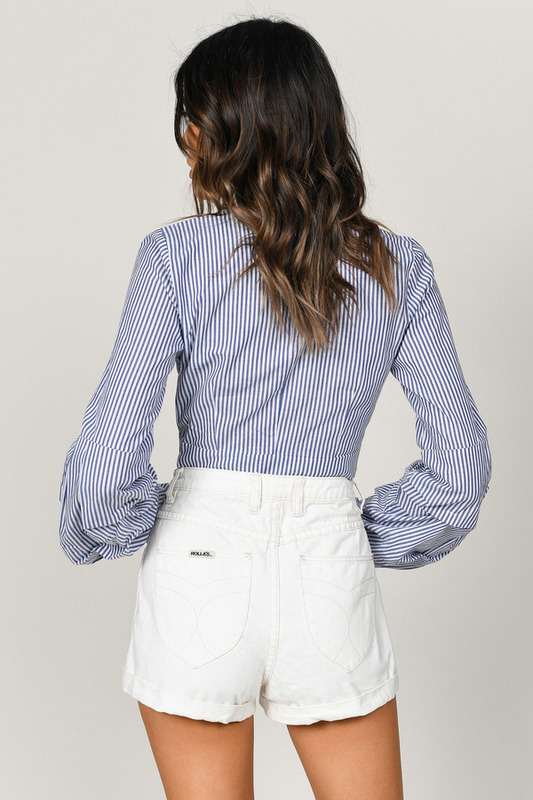 This bubble sleeve top features a cropped construction, gorgeous stripe print, plunging v-neckline, and beautiful bubble sleeves for an unforgettable silhouette. Pair this cute striped top with high waisted culottes and mules. Weekend looks demand sleeves worth talkin' about. Get the Boss Lady Red Striped Crop Top to make a statement. 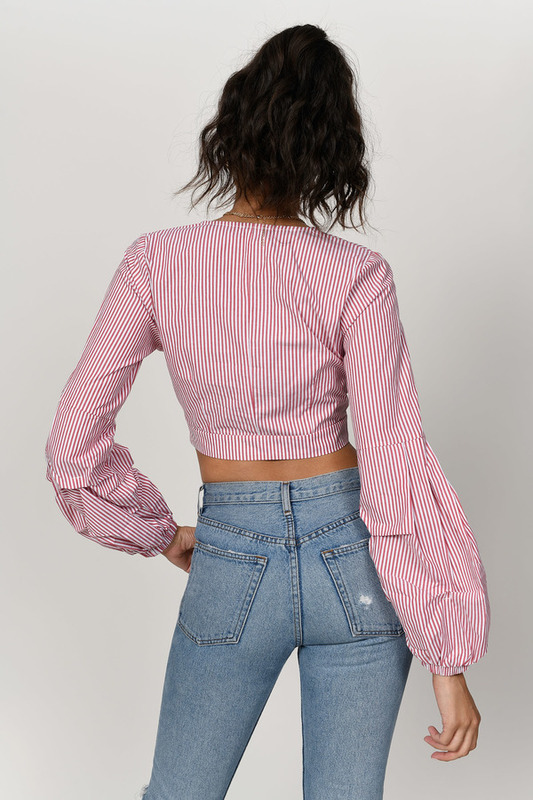 This bubble sleeve top features a cropped construction, gorgeous stripe print, plunging v-neckline, and beautiful bubble sleeves for an unforgettable silhouette. Pair this cute striped top with high waisted culottes and mules.